Where do you go after Broadway? Omaha, of course. 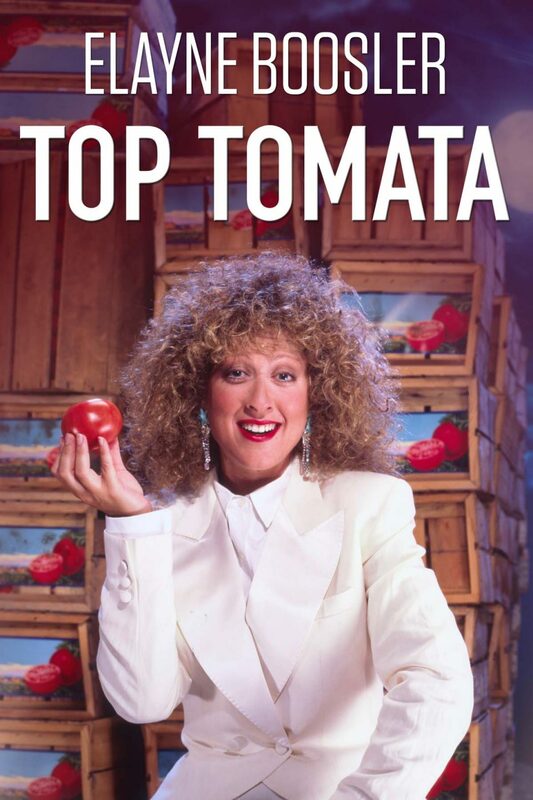 Elayne Boosler, Top Tomata, was voted "Special of the Year" by the readers of Cable Guide Magazine, a big deal back then! This show was actually performed live from Omaha, initially for ninety minutes, without any delays, editing, or stopping. It was the truest "live" standup comedy special ever. Again, the opening Elayne wrote for this special, a literal play based on the old "Top Banana" Broadway show, is so on the money, it could have been written just yesterday. © 1987 and 2018 Brooklyn Productions, Inc.